In what should have been a well-staged media conference, the Labour government failed to get it right when they chose a young man, employed by Coles, to represent those workers who will be impacted by the Fair Work Commission’s decision to slash Sunday and public holiday penalty rates for hospitality, restaurant, fast food, retail and pharmacy workers. After the press conference, Coles released a statement saying the young man would be unaffected as he is employed under a enterprise agreement, which means the change in penalty rates would not apply to him. 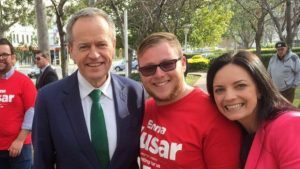 We then uncover that the young man is a member of the ALP and recently posted on social media his support of the Labour government and his close relationship with the opposition leader, Mr Shorten. 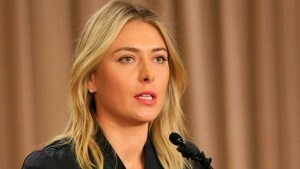 Once the facts surfaced, the press conference became a talking point for all the wrong reasons. By not being authentic, and telling the truth, the story lost the desired outcome the ALP would have been hoping for. Not only has the press conference failed, the young man lost all credibility by misrepresenting the thousands of workers who will be negatively impacted by the Fair Work Commission’s decision. During our media training sessions we go through many examples of what can go wrong when a spokesperson lies and fails to be authentic. We show the impact it has on their personal brand and the company brand. So our top tip for the young Coles employee is when fronting the media, be it live television, radio or being quoted in print media, you are responsible for telling the truth and being authentic. That also goes for posts on social media; if any conflicting messages have been posted on social media, they will surface, thanks to search engines. So, keep it real and be honest to ensure your key messages are not compromised. Media training and your personal brand. Australian swimming champion Cate Campbell went into the Rio Olympics as the favourite in the 100 metres freestyle and one of our highest profile athletes. But in her own words Cate “choked”. She lost her race and upon reflection she believes she lost a lot more than just a medal. 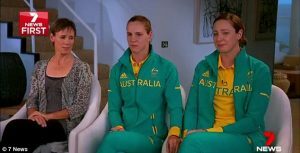 Cate spoke to the Herald’s Phil Lutton about her time in Rio, her experience with the media and her decision to pull back on publicity and social media. With time to reflect and some introspection, Cate admits that perhaps in her quest to please she forgot about her own needs and values. That her personal boundaries were pushed so far out she lost all sense of privacy and that she lost control of her personal brand. The article is a great read but also a reminder to all athletes (and for that matter anyone who deals with the media) to think carefully about their personal brand and their boundaries. What’s really important to me? Who am I and how can I best represent that? Am I willing to answer any question? Or are there some things I want to keep private? Here is a link to Phil Lutton’s story. Its a great read. http://mediafriendly.com.au/wp-content/uploads/2016/03/Media-Friendly-Logo-web-300x138.jpg 0 0 Rachel Friend http://mediafriendly.com.au/wp-content/uploads/2016/03/Media-Friendly-Logo-web-300x138.jpg Rachel Friend2017-02-02 00:56:462017-02-02 00:56:46Media training and your personal brand. After a disastrous night of online frustration for Australians, the much-hyped National Australian Census campaign is now in damage control. Yet, I had to laugh this morning after hearing radio adverts thanking the Australian public on sitting down and completing the online form. I can bet that the ABS is in meltdown mode this morning lining up spokespeople- political and industry experts- defending it’s actions on shutting down the site. So what kind of media risk mitigation strategy did the ABS have in place? Obviously nothing. The site was taken offline around 7:30pm, but the ABS was still telling people to log in, via Twitter, as late as 9:54pm. Planning for the worst-case scenario, particularly in the online environment is critical. Holding statements need to be drafted, screen shots with clear communication made available (no one wants to see, oops this page is currently unavailable) and most importantly, your key spokesperson needs to be prepared to make a genuine and sincere apology. In one of the first of many interviews today, David Kalisch, the chief statistician with the Bureau of Statistics told ABC radio, in a very robotic fashion, the series of events that led to the site being shut down. Yes, the cause was explained. Yes, reassurance was offered regarding the privacy details of those 2 million who were able to submit their forms. Yet the simplest of actions is still missing– a genuine and sincere apology. When a product launch over promises and under delivers, the public backlash can be brutal. With social media now trending, #censusfail the much-anticipated campaign is now a disaster and making world headlines for all the wrong reasons. Take a listen to David’s radio interview on ABC Radio and tell us what you think. There’s nothing like a fiery debate on talk back radio – especially when the interviewee gets hot under the collar. 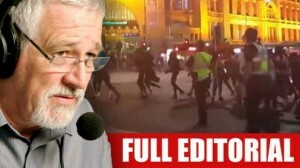 For the host, in this case, Neil Mitchell, its the kind of heated, sensationalist discussion that gets the phone lines jammed with passionate callers all desperate to contribute their own views. Its talk back gold which is why this discussion runs much longer than a regular interview. Anthony Kelly is the Executive Officer at the Flemington and Kensington Community Legal Centre. He agreed to be interviewed in the knowledge he had an opposing view to Mitchell. Listen as Anthony Kelly becomes more and more agitated, frustrated and angry. In this kind of forum emotions need to be kept in check. Be clear on your messages and above all else remain calm. Towards the end of the interview Neil Mitchell doesn’t say much – letting Mr Kelly do all the colourful talking. And remember – the radio host will always have final say. After appearing on last night’s 7:30 program, Prime Minister Malcolm Turnbull would have been hoping for today’s headlines to signify the billion dollar innovation package he launched alongside Minister for Innovation, Christopher Pine. However, the headlines today tell a different story: I ask the questions on this program… Leigh Sales reinforced during their 15minute interview. So how did it all go so wrong? How did the Prime Minister fail to sell the major benefits of this generous innovation package? Was the subject discussed so dry and dull that the journalist seized the opportunity to keep her viewers interested by throwing up several hard-hitting unrelated questions? What this interview shows us is that not only do you need to be well-briefed and prepared on the details of your topic (in which Mr Turnbull was not, stumbling to answer obvious how, why, what and where questions) but having answers ready—or at least linking and bridging techniques sorted—for those hard-hitting, uncomfortable questions on current political issues floating around. Another observation of the Prime Minister’s interview was his frequent shifts in body language, particularly when the tough questions started to fly. Not only is it distracting, it can be perceived as incriminating. If you prepare in advance for the worst questions you could face, you can help avoid that physical response. What did you think of last night’s interview? Are today’s headlines a fair representation of how it unfolded?